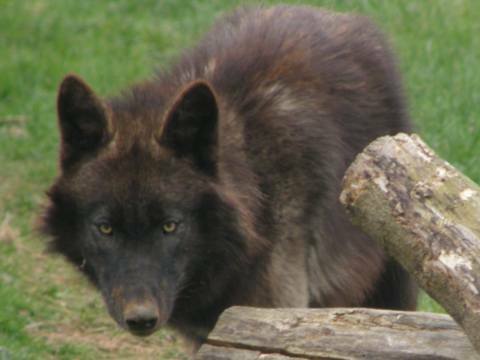 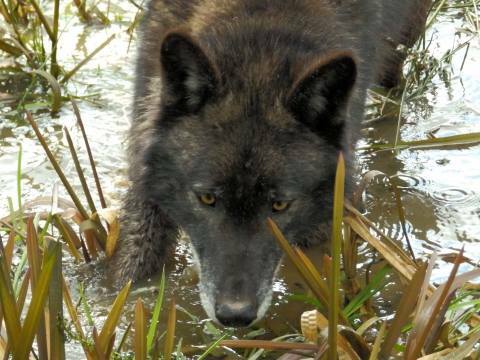 Tala was the only black wolf in the Beenham pack and had the same black coat and white flash that her mother Mai had when young. 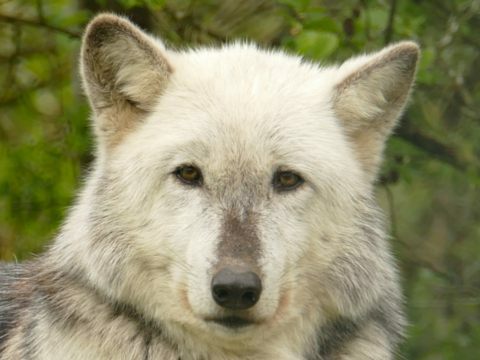 Now Tala is slowly going noticeably grey as she gets older. 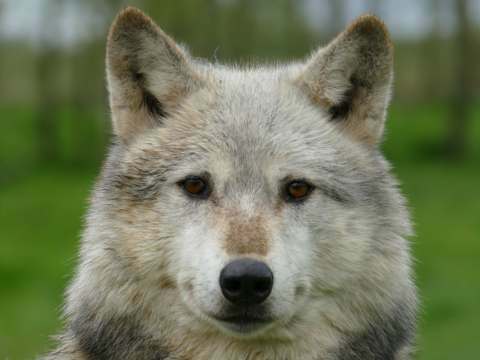 She has inherited the best character traits of both parents and is a beautiful very affectionate wolf. 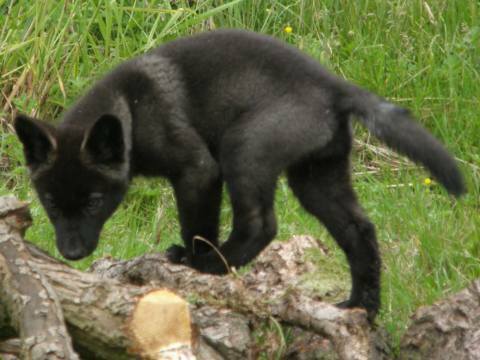 She has a green tint to her amber eyes and is very inquisitive being the first one to investigate new things.